Last week I had the pleasure to spend three days with an amazing man and good friend who lives in Laos. I was fortunate to meet Chipseng in early 2011 through a mutual friend of ours on a community project in Laos (one of the best service projects that I have experienced). After observing Chipseng passionately lead the project and masterfully connect the visiting group and the local community he knows so well together I decided to invite him to Thailand later that year to experience an international school setting and to allow as many of our students and staff to learn from Chipseng as I had done. It was great to be able to get the chance to take my family to Luang Prabang in northern Laos and to meet Chipseng and his family and to find out a lot more about what makes this man such an inspiring community leader and developer of educational partnerships. 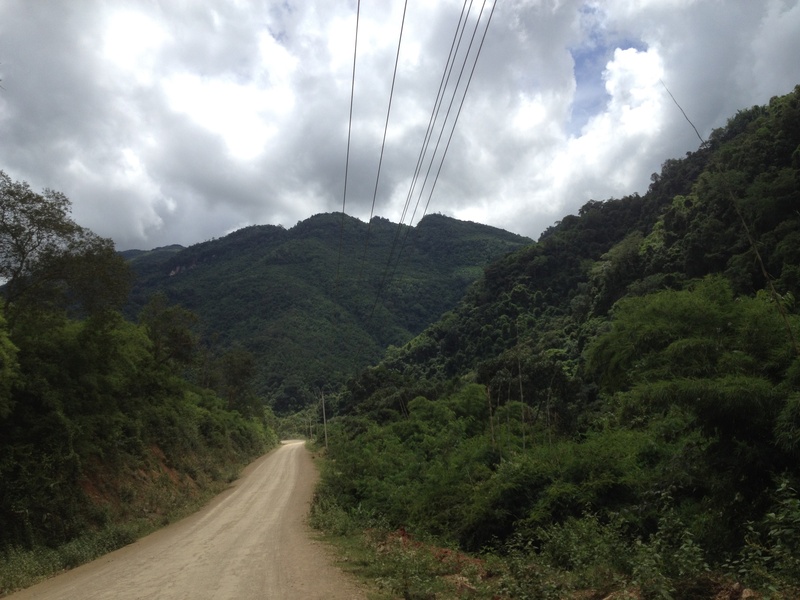 Chipseng was born north east of Luang Prabang in the countryside along the Seuang River that flows into the Mekong. He is Hmong, people that traditionally live in the highest mountain areas of Laos and other parts of South East Asia. He moved to Luang Prabang when he was only 7 years old to study because, as he told me, he had the ‘authority’ then to leave his family, even though he was the youngest son and was expected to stay in the village and look after the family. At that time there were no roads and he had to trek and take a boat along the river for two days to get to Luang Prabang. At that time Chipseng could only speak Hmong. He had to learn the Laos language when he got to school and spent 8 years studying and living at the government school in Luang Prabang. The school was started to give children from the rural areas an opportunity of an education. He then attended high school for three years and met Chan, his wife. They married after high school and Chipseng’s parents came to live with them in Luang Prabang. He wanted to go to university but had to support the family and joined the Laos Army instead for 3 years. During his time in the army he felt there was a lack of opportunity to develop himself and to also support the community so he left the army and went to teacher training college and studied English for 3 years whilst working freelance as a tour guide. He joined Educational Travel Asia 4 years ago after meeting Graham Harper* on a project. 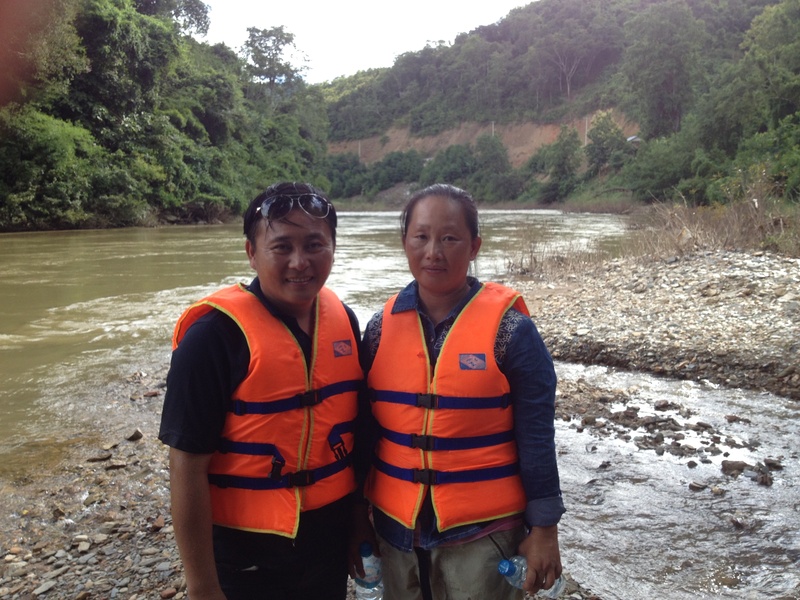 Chipseng is now the project manager for ETA Laos. Chipseng really loves his job and you can see it. He knows everyone and he has their full trust and loyalty. He is one of those unique people that can connect and bring people together to create mutually beneficial learning outcomes and sustainable partnerships. He repeatedly tells me that he is happy that through his work he has a good opportunity to help and support the local people and his community. He believes it is important to develop international understanding amongst the Laos people but also tourists and international students that visit Laos. Chipseng is passionate about the partnership of education and tourism and the symbiotic role they should have on one another. He uses a teacher who has not travelled as an example and questions how that person can impart knowledge and understanding effectively without understanding other people and cultures. He wants this for the Laos teachers and is working closely with Graham Harper and ETA to ensure that the communities and the schools along Seuang River benefit directly and in a sustainable manner from the increase in tourism and also from international educational partnerships. A number of international schools and universities already work with Chipseng and visit Seuang River on an annual basis. Chipseng took my family and I to Pak Xeng, a village about 3 hours from Luang Prabang. We were honoured to have been hosted by a home-stay family (something every international student and educator should experience) and visited the primary and secondary school. We met the students, the teachers and also the headteachers and shared a number of facts about our own schools and experiences. 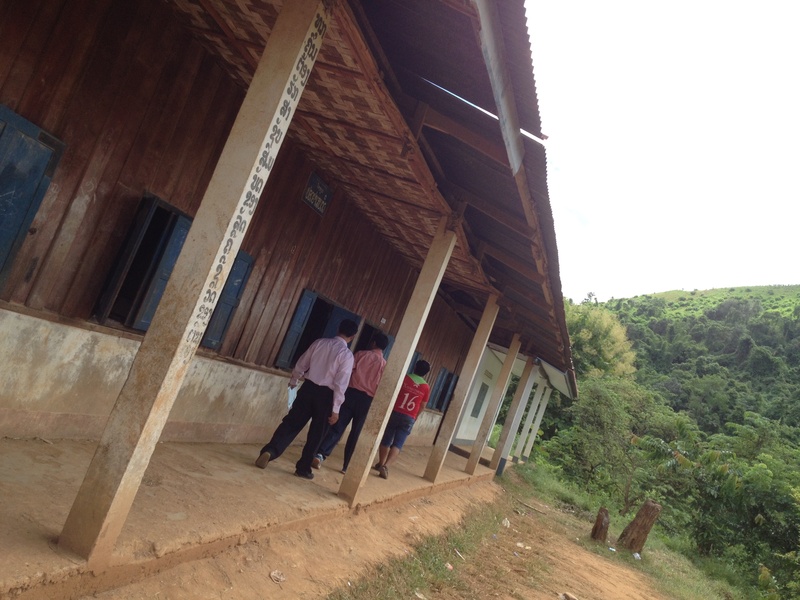 One standout fact is that Pak Xeng Secondary School has 60 – 70 students per class. You could tell the teachers work very hard and do their very best for the students and never complain. 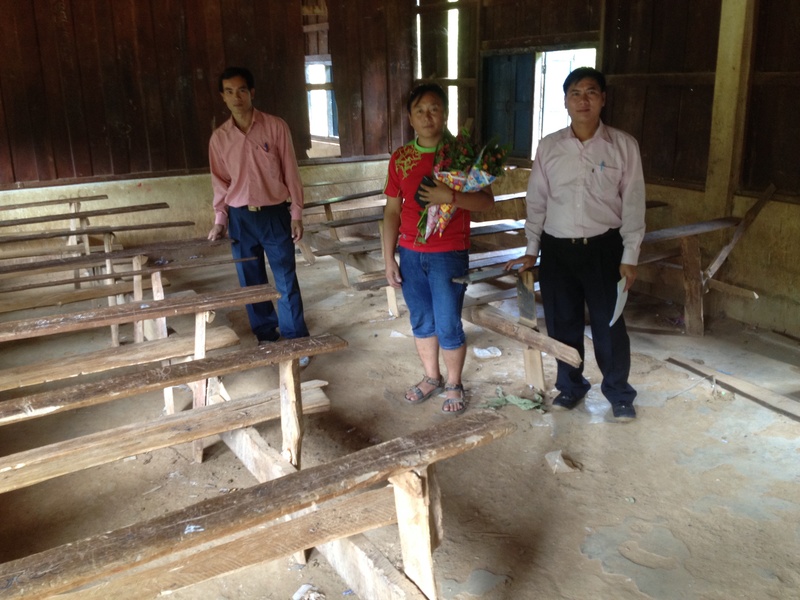 Chipseng and the headteachers showed me around some of the classrooms and explained that the next project is to improve the roof (which was falling down) and to replace the broken desks and benches (see photos). 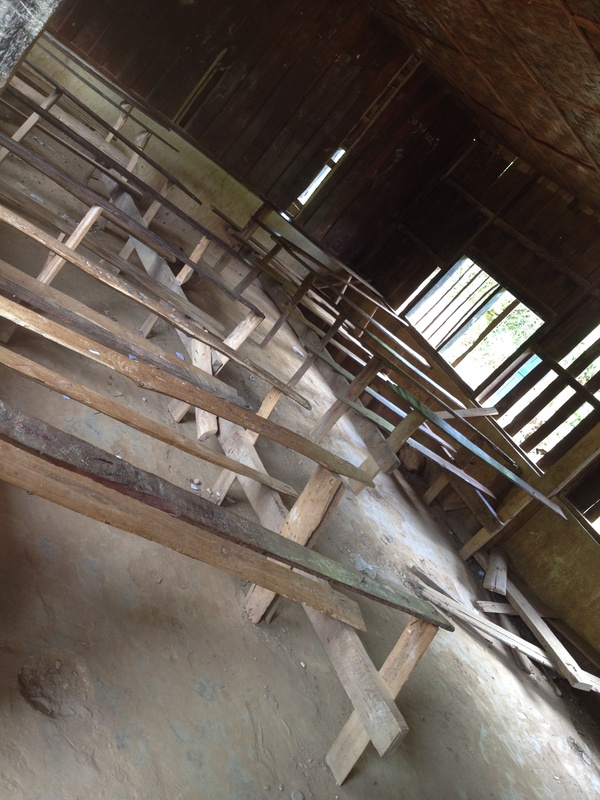 I said to them that these classrooms were obviously not being used at present and they quickly replied that there were and that there was nowhere else to teach the students. I highly recommend Seuang River as a place to visit and a community to connect with and there is no better person to do that through than with Chipseng Thor. This entry was posted in Community Partnerships, Culturally Aware and Interactive, Paul Crouch, Service Learning, Social Enterprise, Speakers, Sustainable Thinking and Action and tagged Chipseng Thor, Graham Harper by Paul Crouch. Bookmark the permalink.